In the early hours of October 3, masked gunmen held Kim Kardashian at gunpoint in her Paris hotel and stole more than $10 million in jewelry. Her husband, Kanye West, ended his concert in NYC as soon as he heard the news, and Kim made plans to fly home via private jet. Even though more horrifying details emerged as the night went on—she was bound and gagged; she begged for her life—plenty of Kardashian haters used the opportunity to mock Kim and her ostentatious lifestyle. 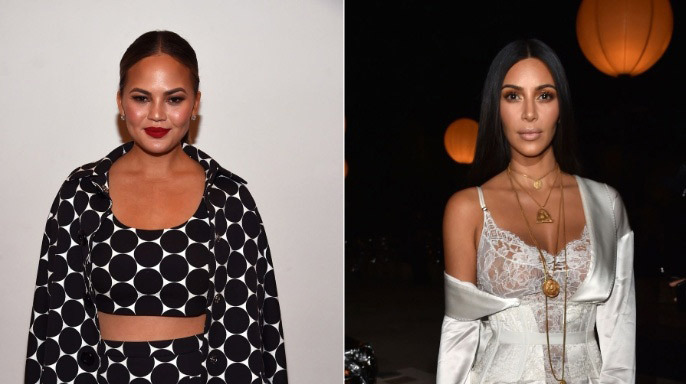 Thankfully, Kim’s friend, Chrissy Teigen, is here to tell all those people to kindly shut up. Late Late Show host James Corden also chimed in to chide jokesters for mocking Kim’s harrowing experience, as did noted Kardashian hater Piers Morgan. Kim herself has not yet commented, but her representatives have said she’s “badly shaken” but uninjured. “She will be OK,” Kris Jenner told E! News.